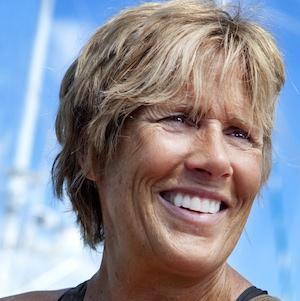 A non-fiction author, award-winning squash player, and long-distance swimmer, she is best known as the first person to swim from Cuba to Florida without using a shark cage. Her published works include Other Shores (1978), Basic Training for Women (1981), and Boss of Me: The Keyshawn Johnson Story (1999). When she was in her early teens, she moved with her family from New York to Fort Lauderdale, Florida and subsequently won several high school swimming championships. She graduated from Lake Forest College in 1973 with degrees in English and French. She was inducted into the United States National Women's Sports Hall of Fame in 1986. She was born in New York City to Lucy Curtis and William Sneed and was later adopted by her stepfather, Aristotle Nyad. 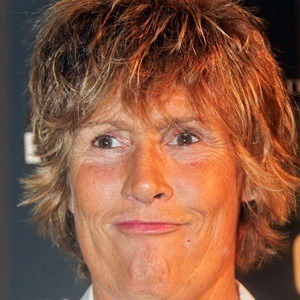 An open lesbian, she is considered a role model for the LGBT athletic community. After completing her famous, shark cage-less swim, she appeared on the Ellen Degeneres Show to discuss the feat.